What are the Roth IRA income rules? Are you required to have a minimum income? Is there a cut-off point if you earn too much? These are great questions. Your income plays a major factor in your ability to make Roth IRA contributions. In fact, if you earn too much or don't have the right type of income, you might be barred from making any contribution. Once you learn the rules regarding each of these topics, you'll develop a much better understanding of your Roth IRA. The Roth IRA income rules require you to have a certain type of income in order to contribute to your Roth IRA. In order to make a Roth IRA contribution, you must have earned income, also known as "taxable compensation." This is by no means an exhaustive list, but as a general rule, if you don't directly trade your mental or physical labor for the income, you probably can't use it to make a Roth IRA contribution. For instance, let's say you're 65 years old with $36,000 in annual income - $24,000 from a pension and $12,000 from Social Security. Can you make a Roth IRA contribution? No. Because under the Roth IRA income rules, your income is not considered taxable compensation. However, let's say you go out and get a part-time job at Home Depot, earning $6,000 per year. Can you make a Roth IRA contribution now? Absolutely, because that $6,000 is taxable compensation - exactly the type of income you need to meet the Roth IRA eligibility rules and make a contribution to your Roth IRA. 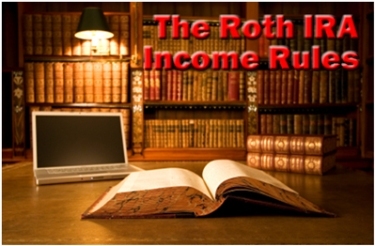 Do the Roth IRA income rules dictate a minimum income for making a Roth IRA contribution? As long as you have taxable compensation of at least a penny for the tax year in which you wish to make a contribution, you don't have to worry about meeting a minimum income limit. However, you do need to keep in mind that any Roth IRA contributions you make can not exceed your taxable compensation for the year. For example, if you're 15 years old, and you earn $1,200 for the year, then you can contribute up to $1,200. That means the maximum amount you can contribute is $1,200 (and not a penny more!) even though the typically maximum contribution limit is $5,000 for someone your age. What are the Roth IRA income rules for making a maximum annual contribution? For instance, let's say you're 42 years old and married with a combined annual income of $165,000. Under the Roth IRA income rules, you can make a maximum annual Roth IRA contribution of $5,000. Because you're under the IRS income limit of $169,000 for making the maximum Roth IRA contribution, and the maximum annual contribution for anyone under age 50 is $5,000. But what if you get a raise which bumps your annual income up to $200,000? Now, your income exceeds the $169,000 limit for making the maximum contribution. But does that mean you can't make any contribution? What are the Roth IRA income rules for making a minimum contribution of any amount? If you earn more than established income limits for making the maximum annual contribution to your Roth IRA, the amount you can contribute phases out up until you reach a higher series of IRS limits. If you earn somewhere in between the limit for making the maximum contribution and the limit for making a contribution of any amount, then your maximum contribution falls somewhere between $0 and either $5,000 (if you're under 50) and $6,000 (if you're 50 or older). For example, let's say you're 55 years old, married, and earn a combined income of $174,000. What's the maximum amount you can contribute to your Roth IRA? Under the Roth IRA income rules, you can contribute up to $3,000. 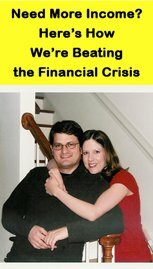 Since your income falls precisely in the middle of the range for making a maximum contribution ($169,000) and the cut-off for making any contribution ($179,000), you're eligible to contribute up to 50% of what you otherwise could contribute if you could make the maximum Roth IRA contribution for your age. In this case, the maximum contribution for a typical 55 year old is $6,000. Since you can contribute up to 50% of that amount, that means you can contribute a maximum of $3,000. Now, let's say you earn more than $179,000. What then? If you earn more than $179,000 and you're married, then you're ineligible to make a direct Roth IRA contribution. However, this doesn't stop you from making a Roth IRA contribution indirectly. Under the Roth IRA income rules, anyone can perform a Roth IRA conversion regardless of income. Prior to 2010, the IRS limited Roth IRA conversions to those earning $100,000 or less. But in 2010, that income limit disappeared! As a result, almost anyone (regardless of income) can effectively contribute to a Roth IRA. First, anyone (regardless of income) can make non-deductible contributions to a Traditional IRA. These contributions are traditionally tax deductible, but because of IRS income restrictions, not every can make tax deductible contributions to a Traditional IRA. You essentially made a Roth IRA contribution. Now, keep in mind that this process can get tricky if you already have an open and funded Traditional IRA. If you already have a Traditional IRA, you can't arbitrarily choose which funds you wish to convert. Your non-deductible contributions for the current tax year will be treated as a percentage of your overall Traditional IRA, so a conversion might trigger income taxes. As a result, it's always a good idea to consult an experienced financial professional before making a Roth conversion. The Roth IRA income rules dictate whether or not you're eligible to make a Roth IRA contribution.